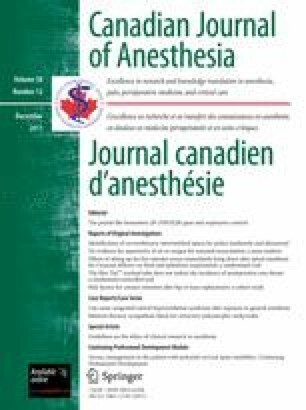 Patient position after spinal anesthesia has had variable effects on blood pressure and ephedrine requirements. The aim of this study was to determine the effects that sitting the patient up for five minutes after spinal anesthesia would have on intraoperative fluid and ephedrine requirements. The study included 120 women at term gestation who were scheduled for Cesarean delivery under spinal anesthesia. After anesthetic administration, the women were randomized either to sit up for five minutes then lie down (Group S) or to lie down immediately (Group L) to a tilted supine position. A blinded observer recorded sensory block level, systolic blood pressure, heart rate, ephedrine and fluid requirements, adverse events, and time to motor recovery (modified Bromage score of 2). Group S had a lower intraoperative sensory block height than Group L [T4 (1) vs T2 (1), respectively; P < 0.001]; Group S also required less ephedrine (8% vs 47%, respectively; P < 0.001), received less fluid [709 (59) mL vs 789 (90) mL, respectively; P < 0.001], and experienced less nausea and vomiting (5% vs 22%, respectively; P = 0.014) and shortness of breath (3% vs 28%, respectively; P < 0.001) intraoperatively. In Group S, the odds of requiring ephedrine were 0.09 compared with 0.89 in Group L (odds ratio 0.10). There were no differences in systolic blood pressure (P = 0.127) or heart rate (P = 0.831) over time between groups. Time to a modified Bromage score of 2 was longer in Group S than in Group L [101 (15) min vs 88 (14) min, respectively; P < 0.001]. Sitting the patient up for five minutes rather than laying the patient down immediately after spinal anesthesia for Cesarean delivery decreased intraoperative sensory block height, ephedrine and fluid requirements, and intraoperative nausea, vomiting, and shortness of breath without affecting systolic blood pressure or the success of the anesthetic. However, the method resulted in delayed postoperative motor recovery. Drs. Essam E. Abd El-Hakeem, Abdullah M. Kaki, and Adnan A. Almazrooa contributed to the conception and design of the study and to acquisition of the data and its interpretation. Dr. Nisma M. Al-Mansouri made substantial contribution to the recruitment of patients, acquisition of data, and obtaining the necessary references. She helped draft the manuscript and approved its final submitted version. Dr. Jamal A. Alhashemi performed the statistical analysis and he made substantial contribution to the interpretation of the data, drafting the manuscript and revising it for important intellectual content. Il a été démontré que la position du patient à la suite d’une rachianesthésie a des effets variables sur la tension artérielle et les besoins en éphédrine. L’objectif de cette étude était de déterminer les effets du maintien de la position assise pendant cinq minutes après une rachianesthésie sur les besoins peropératoires en liquides et en éphédrine. L’étude a porté sur 120 femmes dont la grossesse était à terme et chez lesquelles un accouchement par césarienne sous rachianesthésie était prévu. Après l’administration de l’anesthésie, les femmes ont été randomisées à s’asseoir pendant cinq minutes puis à se coucher (groupe S), ou à se coucher immédiatement (groupe L) dans une position dorsale inclinée. Un observateur en aveugle a enregistré le niveau du bloc sensitif, la tension artérielle systolique, la fréquence cardiaque, les besoins en éphédrine et en liquides, les complications et le temps nécessaire au retour des fonctions motrices (2 au score de Bromage modifié). Le groupe S a manifesté une hauteur du bloc sensitif plus basse en période peropératoire que le groupe L [T4 (1) vs T2 (1), respectivement; P < 0,001]; le groupe S a également eu besoin de moins d’éphédrine (8 % vs 47 %, respectivement; P < 0,001), a reçu moins de liquides [709 (59) mL vs 789 (90) mL, respectivement; P < 0,001], et ressenti moins de nausées et vomissements (5 % vs 22 %, respectivement; P = 0,014) et de difficulté à respirer (3 % vs 28 %, respectivement; P < 0,001) pendant l’opération. Dans le groupe S, la probabilité d’avoir besoin d’éphédrine était de 0,09 par rapport à 0,89 dans le groupe L (rapport de cotes 0,10). Aucune différence n’a été observée au niveau de la tension artérielle systolique (P = 0,127) ou de la fréquence cardiaque (P = 0,831) au fil du temps entre les groupes. Le délai jusqu’à atteindre un score de Bromage modifié de 2 était plus long dans le groupe S que dans le groupe L [101 (15) min vs 88 (14) min, respectivement; P < 0,001]. Le maintien de la position assise pendant cinq minutes plutôt que de coucher la patiente immédiatement après une rachianesthésie pour un accouchement par césarienne a réduit la hauteur peropératoire du bloc sensitif, les besoins en éphédrine et en liquides, ainsi que les nausées et vomissements et la difficulté à respirer peropératoires sans affecter la tension artérielle systolique ou la réussite de l’anesthésie. Toutefois, cette méthode a entraîné un délai dans la récupération motrice postopératoire. Sitting the patient up for three minutes after spinal anesthesia has not been found to reduce the occurrence of hypotension.13 In contrast, we hypothesized that keeping the patient in the upright position for five minutes after performing the spinal anesthetic might likely limit the spread of local anesthetic and decrease the likelihood of hypotension with a resulting reduction in fluid and ephedrine requirements intraoperatively. We therefore undertook a randomized blinded study to test this hypothesis in obstetric patients undergoing spinal anesthesia for Cesarean delivery. Given that patients would be treated in the event of hypotension, maternal systolic blood pressure was not used as the primary endpoint for this study as it was anticipated to be comparable in both study groups. After approval from the Research and Ethics Committee of the Department of Anesthesia and Critical Care, King Abdulaziz University Hospital (Dr. Adel Makhdoom, Chairperson, King Abdulaziz University Hospital, P. O. Box 80215, Jeddah 21589, Saudi Arabia, approval number ANE12-10, dated June 1, 2010), female patients scheduled for elective Cesarean delivery under spinal anesthesia were screened for eligibility and invited by one of the authors to participate in this prospective randomized blinded study. All participants provided written informed consent. The study was conducted at a tertiary care university hospital. Patients were included in the trial if they were 18-40 yr of age, at term gestation (≥ 37 weeks) with a singleton uncomplicated pregnancy, and American Society of Anesthesiologists’ physical class I or II patients. Patients were excluded from the study if they had hypertension, any hypertensive disease of pregnancy, diabetes mellitus, any contraindication to regional anesthesia, or an allergy to any of the study medications. All patients were premedicated with ranitidine 50 mg iv and metoclopramide 10 mg iv on call to the operating room, and they received 500 mL of 6% hydroxyethyl starch 130/0.4 in normal saline (Voluven®, Fresenius Kabi, Bad Homburg, Germany) within 30 min before spinal anesthesia. In the operating room, standard monitors were applied, and subarachnoid anesthesia was performed in the usual fashion by an anesthesiologist who was not involved in the study—using a 27 G pencil-point needle (Portex®, Smiths Medical, UK) at the L3-4 interspace with the patient in the sitting position. Hyperbaric bupivacaine (0.5%) 2 mL mixed with fentanyl 20 μg was injected slowly into the subarachnoid space without barbotage. The patients were randomized in equal numbers by a research assistant who used a computer-generated permuted block randomization schedule with a block size of six and serially numbered sealed opaque envelopes. The patients were randomized either to continue sitting up for five minutes after administration of the subarachnoid block and then to lie down in a 15° left-tilted supine position (Group S) or to lie down immediately after spinal anesthesia in the same 15° left-tilted supine position (Group L). Once patients were in the tilted supine position, a second anesthesiologist, blinded to the patient’s group assignment, took over the care of the patient, and a blinded assessor recorded the study outcomes. All patients received supplemental oxygen 4 L·min−1 via facemask until delivery of the baby. Non-invasive systolic, diastolic, and mean arterial blood pressure, heart rate, and oxygen saturation using pulse oximetry were recorded automatically (Zeus® anesthesia workstation, Draeger Medical, Lübeck, Germany) at baseline and every two minutes after spinal anesthetic administration, for a total of 20 min. The blinded anesthesiologist assessed the maximum height of the sensory level of the block by using an ice cube. Surgery was started when the patient achieved a sensory block at the level of T6 or higher. Intraoperative fluid management using Ringer’s lactate was at the discretion of the blinded anesthesiologist. Hypotension, defined as an systolic blood pressure (SBP) < 100 mmHg or a decrease in SBP by > 20% of baseline value, was treated promptly with ephedrine 3 mg iv bolus, repeated every two minutes to achieve an SBP > 100 mmHg or an SBP within 20% of baseline value, whichever was achieved first. After delivery of the baby, intravenous oxytocin 5 U was administered slowly followed by an oxytocin infusion 0.03 U·mL−1 at a rate of 200 mL·hr−1. Fentanyl 50 μg iv was administered intraoperatively if the patient complained of pain (visual analogue scale > 40/100). The following outcomes were recorded: the total amount of fluid and the total dose of ephedrine administered intraoperatively, surgery time, and neonatal Apgar scores at one and five minutes. Upon completion of surgery, patients were transferred to the postanesthesia care unit (PACU) where a blinded nurse recorded the time to achieving a modified Bromage score of 2 (1 = unable to move feet or knees; 2 = able to move feet only; 3 = just able to move knees; 4 = full flexion of knees; 5 = no detectable weakness of hip flexion while supine; 6 = able to perform partial knee bend).14 Perioperative adverse events were recorded, including, but not limited to, nausea, vomiting, itching, intraoperative shortness of breath, and postoperative headache. Using a two-sided alpha of 0.05, a power of 0.9, and a population variance of 150 mL, 48 patients were required per group to detect a difference of 100 mL in the total amount of fluid administered to the study groups. The sample size was increased to 60 patients per group to account for possible technical difficulties in performing the spinal anesthetic or protocol violations. In addition, this sample size was large enough to detect a difference of 12 mg in ephedrine dose between the two study groups with a power of 0.9. Continuous data (SBP and heart rate) were analyzed using repeated measures analysis of variance, and adjustment for multiple comparisons was made using Bonferroni’s method. Normally distributed data were analyzed using Student’s two-sample t test, and skewed data (intraoperative fentanyl and ephedrine, and Apgar scores) were analyzed using the Mann-Whitney U test. Proportions were examined using Fisher’s exact test. All statistical procedures were performed using IBM® SPSS® Statistics package, version 19 (IBM Corporation, Somers, NY, USA). Continuous variables are described as mean (standard deviation) or median [interquartile range] if the data are skewed. Categorical variables are described as number (percent). All reported P values are two-sided, and all analyses are by intention-to-treat. From August 2010 to January 2011, 135 patients were assessed for eligibility for the study; five patients did not meet the inclusion criteria, ten refused to participate, and 120 were randomized. There were no protocol violations and no losses to follow-up. Baseline characteristics and surgery times were similar between the study groups (Table 1). On average, Group S patients received less intraoperative ephedrine (P < 0.001) (Fig. 1) and had 80 mL less intravenous fluid during surgery than Group L (95% CI, -108 to -52; P < 0.001). Group S also had a lower level of sensory block (P < 0.001) than patients in Group L (Table 2). However, there were no differences between the study groups with regard to changes in SBP (Fig. 2) and heart rate (Fig. 3) over time during the study period. In addition, there was no difference between groups regarding the proportion of patients who required fentanyl intraoperatively (Table 2). On the other hand, estimated intraoperative blood loss was slightly higher in Group S than in Group L (P = 0.011). Apgar scores were better in Group S than in Group L at one minute after birth (P = 0.039); however, there was no difference between groups at five minutes (Table 2). Group S took a longer time than Group L to achieve a modified Bromage score of 2 (P < 0.001). None of the patients in either study group required conversion to general anesthesia, experienced an inadequate block, or had a major adverse event. In addition, none of the patients in Group S became light-headed or requested to lie down, and the proportion of patients who had shivering was comparable in both study groups (5% vs 8%; P = 0.717). On the other hand, fewer Group S patients than Group L patients experienced nausea and vomiting or complained of shortness of breath during surgery (5% vs 22%, respectively; P = 0.014 and 3% vs 28%, respectively; P < 0.001). Hypotension following spinal anesthesia is very common,1 and a recent meta-analysis showed that the following treatments are not completely successful in eliminating this adverse event: position changes, colloids, ephedrine, phenylephrine, or lower legs compression.6 The current study showed that sitting the patient up for five minutes rather than having the patient lie down immediately after spinal anesthesia for Cesarean delivery was associated with a decrease in the amount of fluid administered intraoperatively and in the total dose of ephedrine used after block administration. However, there were no differences between study groups with regard to SBP or heart rate changes over time during the study period. In keeping with previous studies,1,8 SBP decreased over time in both study groups reaching a nadir at ten minutes after induction of subarachnoid anesthesia; however, this decrease was within 20% of baseline value. The reduction in SBP could be explained in part by the rapid cephalad spread of the local anesthetic and the accompanying sympathectomy12,15 and in part by aortocaval compression caused by the gravid uterus despite the 15° left tilt that was used in all patients. A study by Rees et al. 16 supports these findings; they showed that even a true 15° left table tilt is associated with some aortic compression. In addition, Bamber et al.17 showed a reduction in stroke volume and cardiac output due to aortocaval compression by the gravid uterus when healthy pregnant women are rotated from the full lateral position to the right-tilted supine position. In the current study, the observed lack of difference in SBP between the study groups was anticipated a priori and could be explained by the prompt treatment of SBP deviations from baseline values to maintain patients’ hemodynamic stability. The reduction in the amounts of fluid and ephedrine administered to Group S patients could be attributed, at least in part, to the limited spread of the local anesthetic evident from the lower maximum block height achieved in this group, and also in part to the delayed aortocaval compression caused by keeping the patient upright for five minutes after spinal anesthetic administration. Other investigators have also shown better hemodynamics and reduced ephedrine requirements when the spinal anesthetic was performed in the sitting rather than in the lateral position.18,19 Furthermore, it has been argued that the sitting position is advantageous when performing neuraxial anesthesia as it makes needle insertion easier, confers better patient comfort, especially for obese individuals, and it results in less aortocaval compression with favourable hemodynamic effects.20 In contrast, Kohler et al.13 compared having patients sit up for three minutes before having them lie down to a 10° left-tilted position with having patients lie down immediately after subarachnoid anesthesia. They did not find a difference between the two study groups either in the total dose of ephedrine administered or in the proportion of patients who required ephedrine to treat hypotension.13 Their findings could be explained in part by the higher dose of hyperbaric bupivacaine administered (0.5% hyperbaric bupivacaine 2.8 mL) and in part by the modest degree of lateral tilt used (10°), which has been associated with aortocaval compression.17 Opponents of the sitting position also argue that vagal reflexes are more common in the sitting position, uterine perfusion is better in the lateral decubitus position, and due to a lower hydrostatic pressure, there is less likelihood of epidural vein puncture when neuraxial anesthesia is performed in the lateral position.21 Furthermore, Patel et al.18 observed that the sitting position was associated with a higher incidence of inadequate block. However, in Patel’s study, block supplementation in the sitting group was performed before assessing the maximum height of the block, thus, unnecessary supplementation could not be ruled out.18 In contrast, none of the patients in the current trial had inadequate block or received general anesthesia during the study, and none of Group S patients had dizziness or requested to lie down. The increased occurrence of nausea and vomiting and dyspnea among Group L patients could be explained by the higher level of maximum sensory block achieved in this group. In contrast, the longer time to motor recovery in Group S was likely due to downward concentration of the hyperbaric local anesthetic secondary to gravity. This assumption is supported by the findings of Stienstra et al. 24 in a spinal canal model which showed that hyperbaric solutions move downward due to gravity. Although the difference in time to motor recovery was statistically significant, both study groups recovered motor function within an acceptable range of time. However, this time difference could have become more relevant had a larger dose of spinal anesthetic been used. The observed difference in intraoperative blood loss between the study groups was clinically trivial despite its statistical significance. Moreover, it did not have a bearing on intraoperative fluid and ephedrine requirements since Group S experienced more blood loss than Group L despite receiving less fluid and ephedrine. Compared with Group L, the better Apgar scores in Group S at one minute were likely a reflection of better hemodynamic stability in this group; nonetheless, this difference was no longer present at five minutes after delivery. A potential limitation of the study is the single-blinding design; however, it was not possible to blind the patient given the nature of the intervention and the fact that the patient was awake during the study. Potential bias was minimized by blinding the data collector and the anesthesiologist who managed the patient after performance of the spinal anesthetic. In conclusion, sitting patients up for five minutes rather than having patients lie down immediately after spinal anesthesia was associated with a small reduction in intraoperative fluid and ephedrine requirements, a significant decrease in intraoperative nausea, vomiting, and shortness of breath, and slightly delayed postoperative motor recovery. Future studies are needed to determine the optimal time to keep the patient sitting up after performing the subarachnoid block to achieve the best possible outcomes. The study was supported in part by a departmental research fund.